Established on 10th December, 1908 as Victoria May Girls High School for the education of the daughters of the elite, the rulers of princely states, landed gentry, judges, etc it was run on the pattern of an English public school and a number of Englishwomen were recruited to work in the new school. On 17 November, 1911 the institution was upgraded and renamed Queen Mary College in honor of the Queen Consort of King George V of Great Britain. As most of the students admitted to the school observed purdah, the institution came to be known as the “Purdah school”. Within a short span of time, Queen Mary College acquired a reputation for excellence. Queen Mary College starting in 1908 with a group of only 11 students, now has about 7,000 students with a faculty of 244 members. 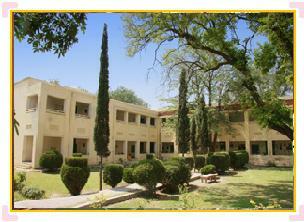 It is a special institution where education is imparted from Class 1 to the Postgraduate level. It comprises 4 sections and each section is supervised by a Section Head. The Principal is the Chief Administrator. The 4 sections are Junior, Senior, College and the Postgraduate Section. This College is reputed for well-equipped laboratories and spacious lecture theaters. In January 1998, Queen Mary College was granted an autonomous status. This renowned institution has advanced further with the grant of administrative and financial powers. Queen Mary College is fully prepared to face the formidable challenges of the 21st century. @ Copyright 2011- Chief Librarian QMC College, Lahore. All Rights Reserved.